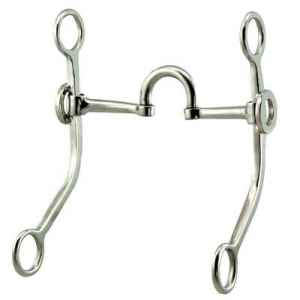 Here at Horse Tack Now we strive to offer the highest quality correction bits available online. This Stainless Steel Bit is a top quality item with 7 1/2'' shanks. If you are looking for excellent quality products you came to the right place. Here at Horse Tack Now we strive to offer the finest equestrian products available. When buying bits at Horse Tack Now, rest assured you are buying only the the highest standard products available for your horse.